Every year we have a national cardiac congress organized by the Swedish Heart Foundation. 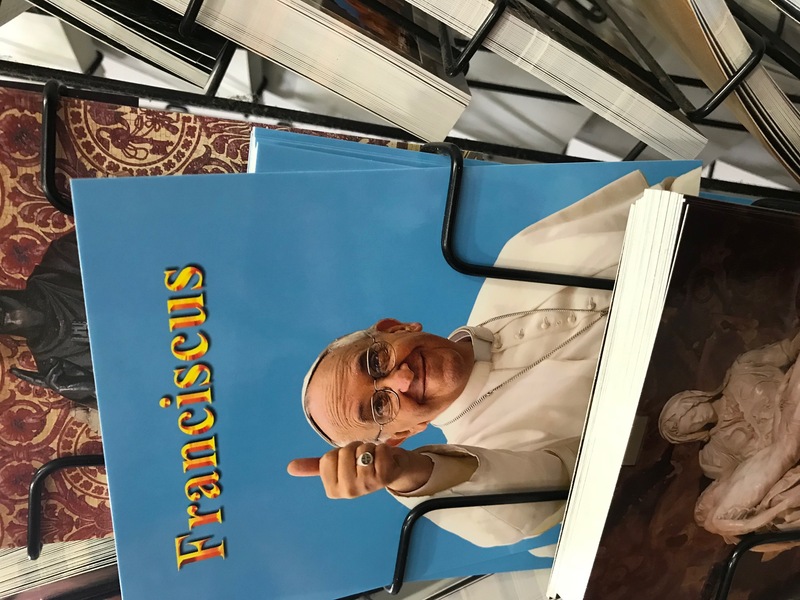 A lot of CESAR members participate in this congress every year. 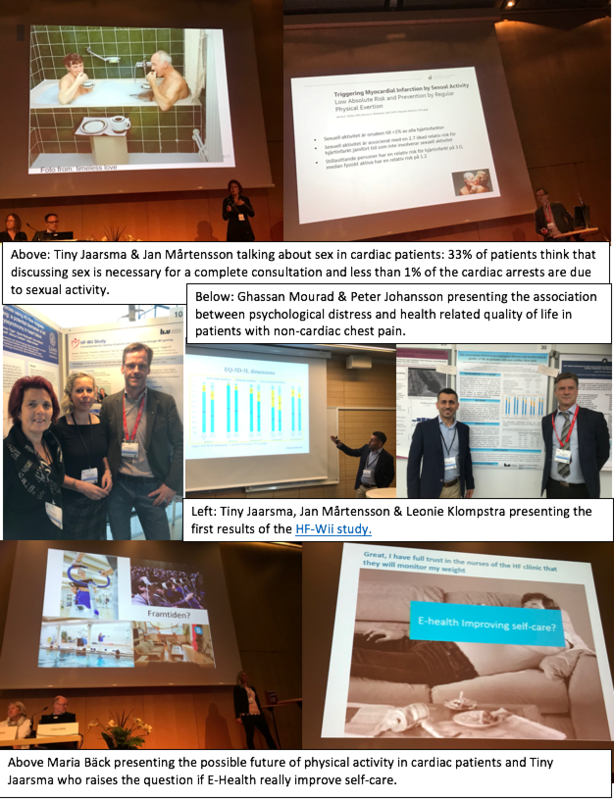 This year we had nice oral presentation, poster presentations and moderated poster sessions. 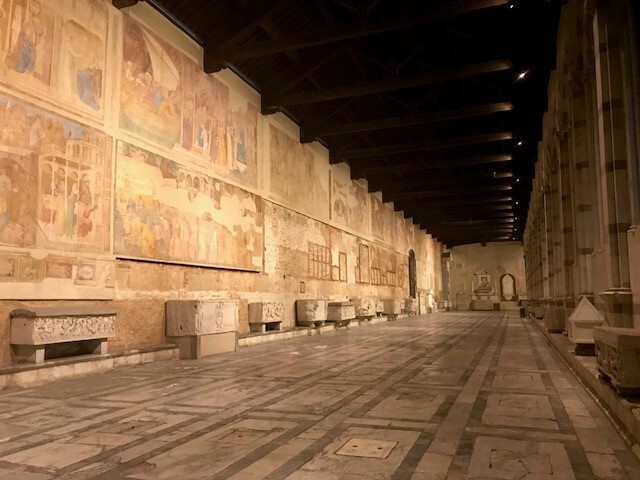 An impression of our activities you can see in the pictures below. 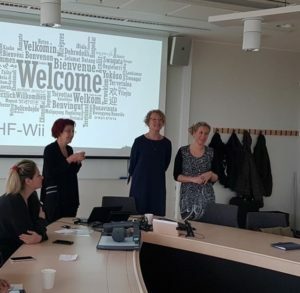 15 and 16 of April 2018 international researchers had a 2-day meeting at LiU’s campus Norrköping. Tiny Jaarsma, Anna Strömberg and Leonie Klompstra welcoming all. 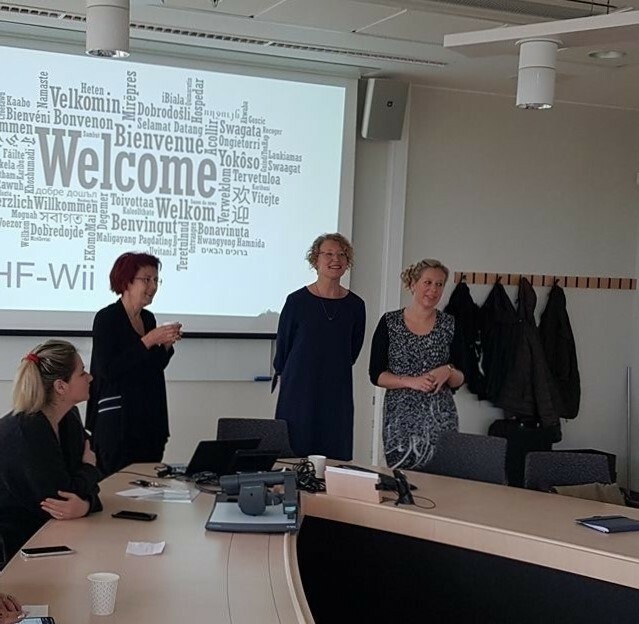 After an intense collaboration of 5 years with colleagues from 10 centers that included patients in the HF-Wii study we organized 2 days of presentations, discussions and practical instruction. Our research colleagues from Sweden (Linköping, Norrköping, Nyköping, Jönköping and Stockholm) and colleagues from Italy, Israel, Germany, Netherlands and USA collected data from in total 605 patients in 10 centers. Scientific discussions included intention to treat and per protocol analysis and optimal dissemination. 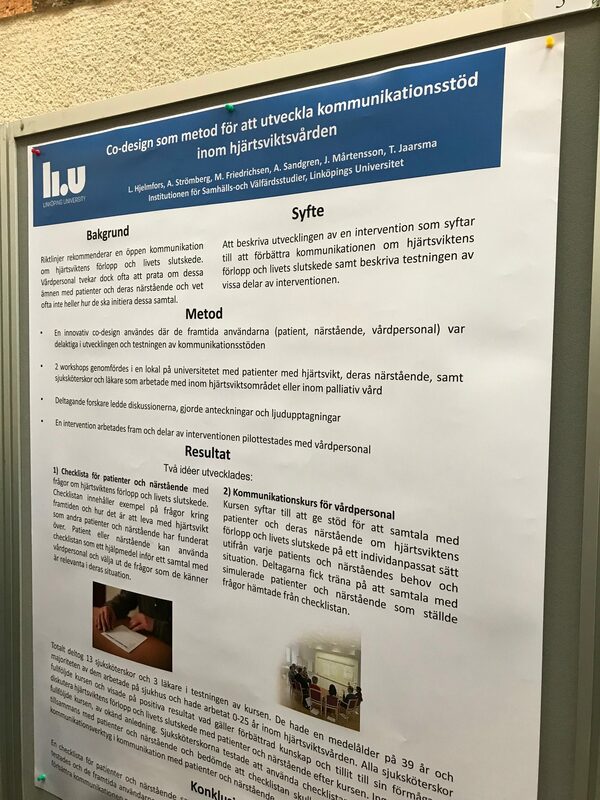 We also presented first outcomes (positive results of playing an exergames), experiences of patients and planned analysis and sub-studies. A visit to the local patient organization to learn on implementation of the results completed 2 inspiring days. 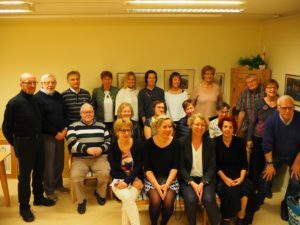 Part of the international research group at ’Föreningen HjärtLung Norrköping. 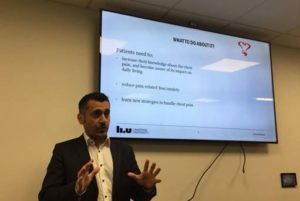 Ghassan Mourad has a collaboration with the research group “Emergency, Cardiovascular and Critical Care Research (ECCCR) Group” led by Professor Tom Quinn at Kingston and St George’s Joint Faculty of Health, Social Care and Education in London. The ECCCR group was launched at the 28th February 2018 and Ghassan Mourad was present at the launch to present his RCT “Patient and societal benefits of guided internet-delivered cognitive behaviour therapy for patients with non-cardiac chest pain”. 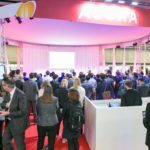 The first ‘new style’ annual conference of the European Heart Rhythm Association (EHRA) took place 18 – 20 March 2018 in Barcelona – Spain. 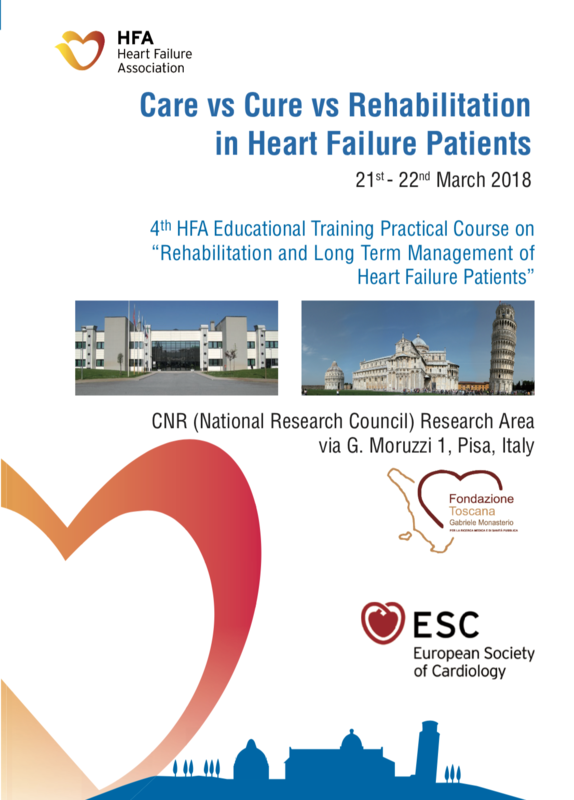 Previously the conference was called Europace and was organised in collaboration with Cardiostim. 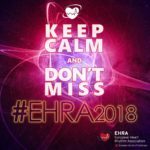 The EHRA conference focusses on electrophysiology and the management of cardiac arrhythmias and the relationship with other cardiovascular conditions and risk factors. 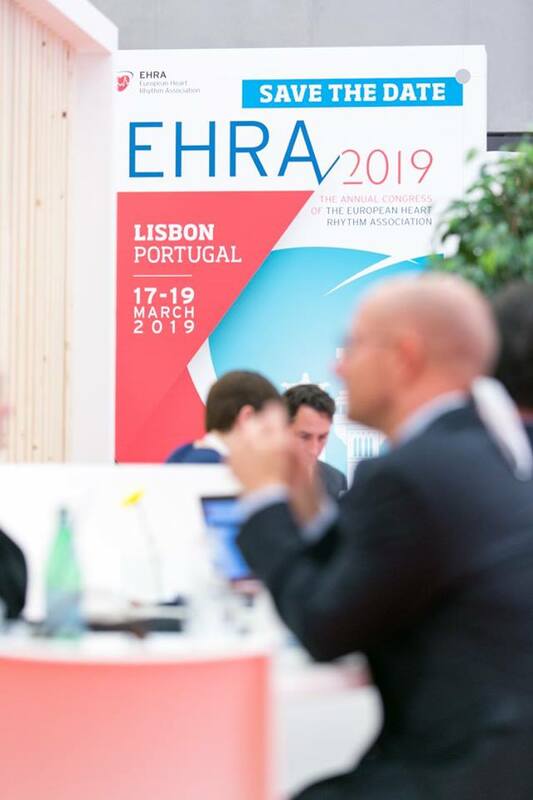 The conference welcomed approximately 6000 healthcare professionals from 100 countries, and this first edition of the EHRA conference was a great success. The three days were filled with interesting sessions with a diversity of topics. Oral anticoagulation is an important aspect in the management of cardiac arrhythmias to prevent thromboembolic complications such as a stroke. 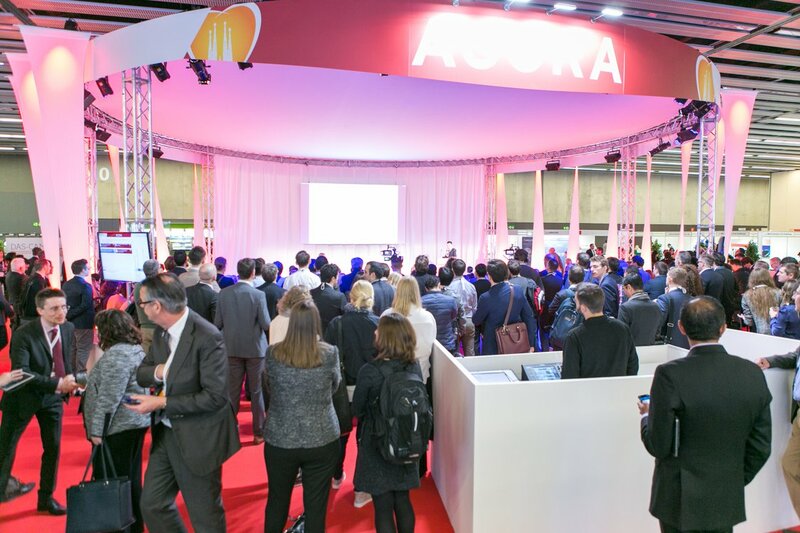 In a packed room, Professor Heidbuchel (Vice-President EHRA) presented the 2018 EHRA Practical Guide for the use of NOACs in patients with atrial fibrillation. This is an important document to guide health care professionals in e.g. decision making, management and follow-up in anticoagulation management. 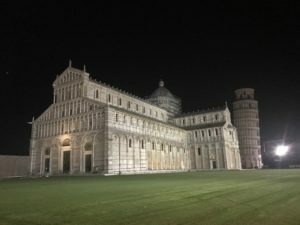 I very much encourage you to take look at the document (https://www.ncbi.nlm.nih.gov/pubmed/29562325). Another important topic is cognitive impairment in patients with cardiac arrhythmias. 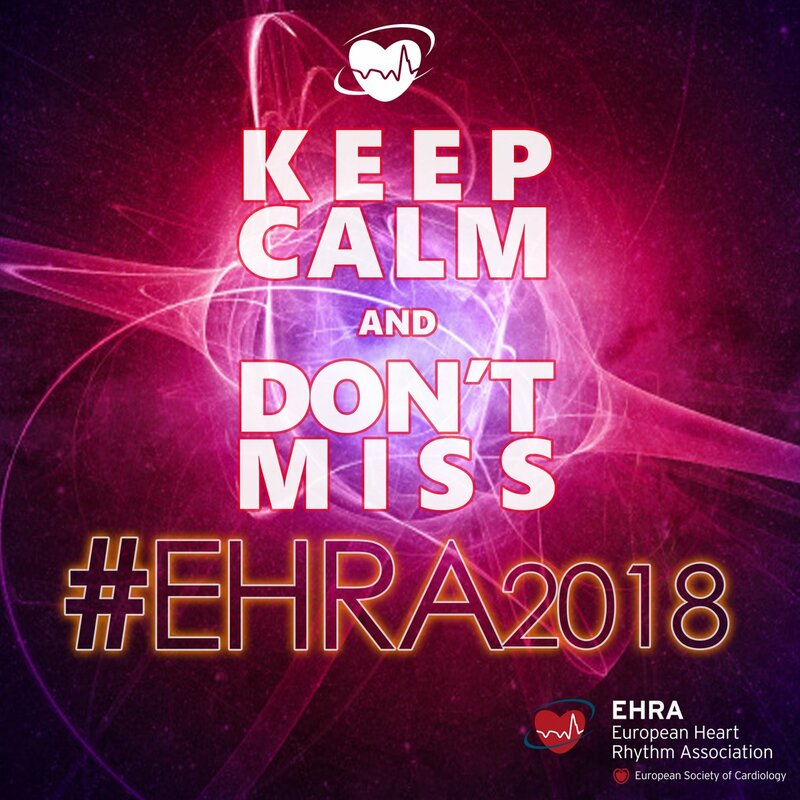 Given that the literature on this topic is scarce and the problem is underestimated and under-recognized in practice, it was very interesting to see the presentation on the EHRA expert consensus document on arrhythmias and cognitive impairment. The document highlights methods of assessments, the role for the health care professionals, as well as the role for imaging. There is still uncertainty as well as limited evidence in this area, but this guide will contribute to awareness and recognition of cognitive impairment in cardiac arrhythmias. For further reading please see the full consensus document: https://www.ncbi.nlm.nih.gov/pubmed/29562326. 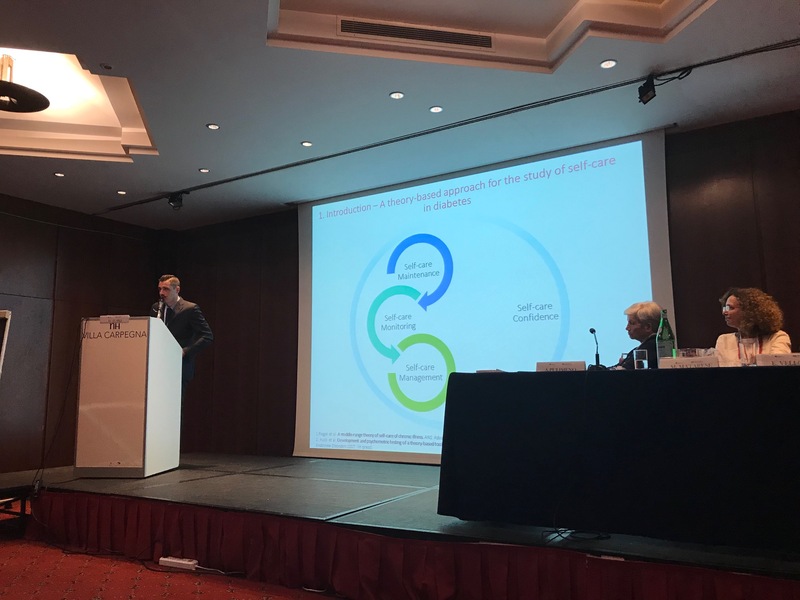 At the conference I presented a novel integrated pathway for screening of sleep apnea in patients with atrial fibrillation. 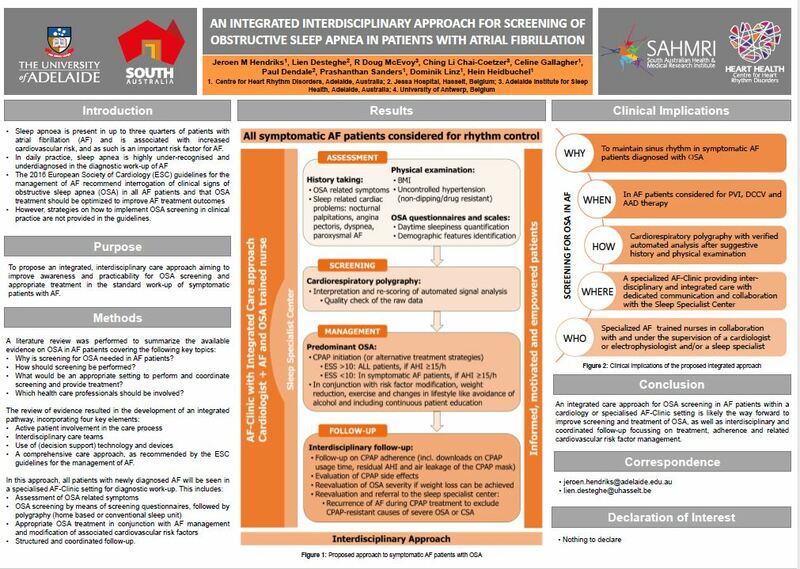 We developed this pathway in collaboration with colleagues from Belgium and Australia, and we propose this pathway to increase awareness for (the screening of) sleep apnea which will contribute to improved outcomes in patients with atrial fibrillation (see figure). 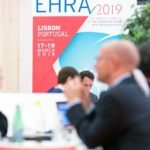 In 2019 the EHRA conference will be held 17-19 March in Lisbon – Portugal. A nice new publication “Preference-based care and research” was recently published in European Journal of Cardiovascular Nursing 2018, Vol. 17(1) 4 –5 by Cesar members Tiny Jaarsma and Leonie Klompstra, and also Chantal F Ski and David R Thompson. 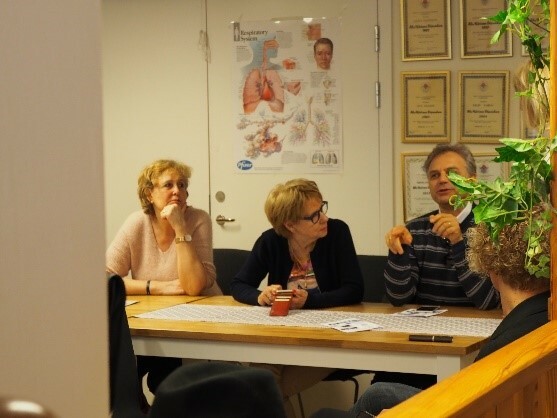 Annette Waldemar is a registered nurse who works with cardiac patients at Vrinnevi hospital in Norrköping, Sweden. She also works as a research nurse and cooperates with Professor Tiny Jaarsma, PhD students Lisa Hjelmfors and Emma Säfström (“Continuity of care and patient participation in patients hospitalized due to cardiac condition” and “TALK-HF” studies). 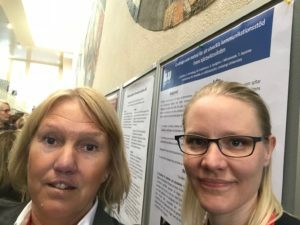 Previously, she cooperated with Dr. Leonie Klompstra as a research nurse for many years within the HF-Wii study. 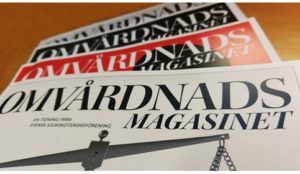 Since 2014 she works part-time as a lecturer at Linköping University, at the Department of Social and Welfare studies, and she is a PhD-student at Institution for Medicine and Health. 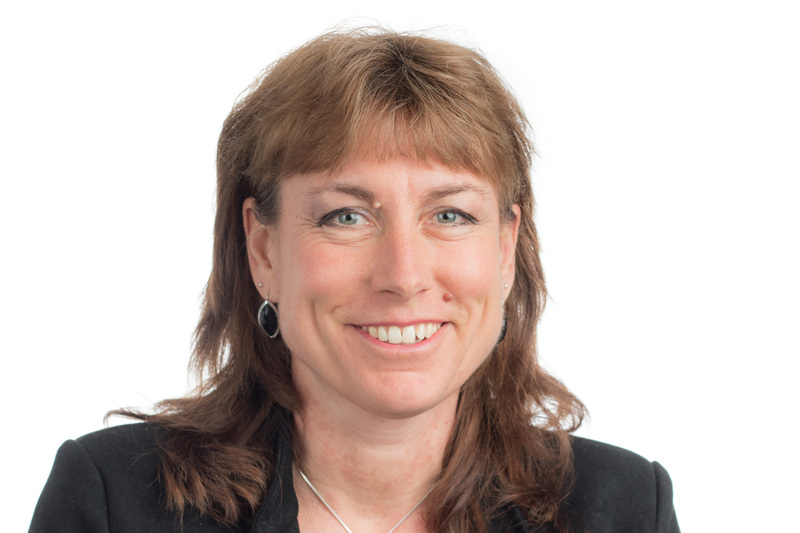 In 2017 Annette became a PhD student and her main supervisor is Associate professor Ingela Thylén and her co-supervisor is Professor Anna Strömberg and Associate professor Anders Bremer. 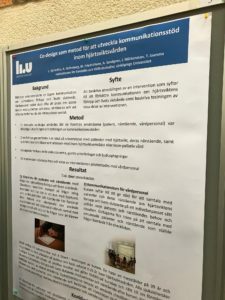 Her research area for her doctoral thesis is family witnessed cardiopulmonary resuscitation and other research interests concern different aspects of person-centered care. Her first study explored nurses’ and physicians’ experiences and attitudes toward family-witnessed resuscitation in cardiac care units. The next studies will explore how often families are witnessing resuscitations in hospitals, the experiences of patients and their next-of-kin of the resuscitation situation and how it affects their life.